What does it mean to be an illegal immigrant, or the child of immigrants, in this era of restrictive immigration laws in the United States? As lawmakers and others struggle to respond to the changing landscape of immigration, the effects of policies on people's daily lives are all too often overlooked. 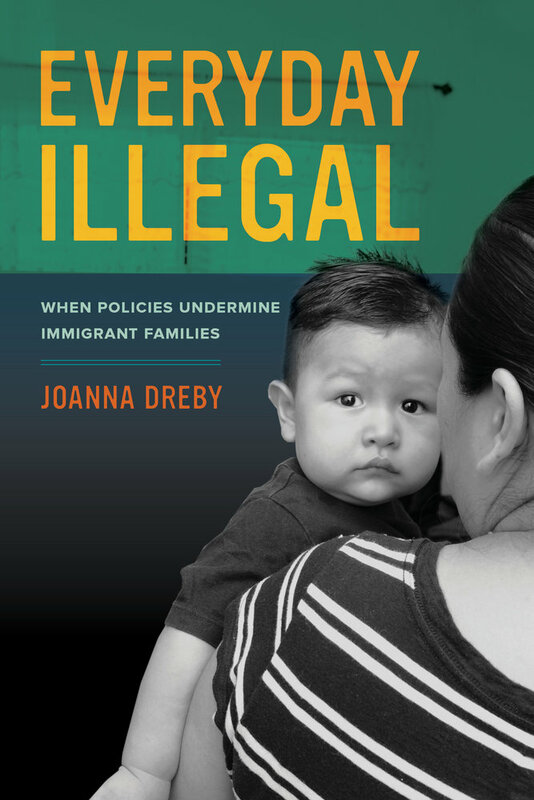 In Everyday Illegal, award-winning author Joanna Dreby recounts the stories of children and parents in eighty-one families to show what happens when a restrictive immigration system emphasizes deportation over legalization. Interweaving her own experiences, Dreby illustrates how bitter strains can arise in relationships when spouses have different legal status. She introduces us to “suddenly single mothers” who struggle to place food on the table and pay rent after their husbands have been deported. Taking us into the homes and schools of children living in increasingly vulnerable circumstances, she presents families that are divided internally, with some children having legal status while their siblings are undocumented. Even children who are U.S. citizens regularly associate immigration with illegality. With vivid ethnographic details and a striking narrative, Everyday Illegal forces us to confront the devastating impacts of our immigration policies as seen through the eyes of children and their families. As legal status influences identity formation, alters the division of power within families, and affects the opportunities children have outside the home, it becomes a growing source of inequality that ultimately touches us all. Joanna Dreby is Associate Professor of Sociology at the University at Albany, SUNY, and the author of Divided by Borders.